That’s a wrap folks! On Friday, Feb. 24, Poly Drive PTA presented the 20th Annual Talent Show to a packed house of more than 600 people at Lewis & Clark Middle School. Teachers and staff were honored with a “Walk of Fame” leading to the auditorium, and students (and parents) had fun posing for photos under the “Polywood” sign on the red carpet – all setting the stage for the main event. Immediately following the Talent Show, families were invited to connect and celebrate at the dessert reception and two student art shows. In all, showgoers were treated to a darling video, 26 unique performances on stage and over 40 pieces of visual art. Most of all, we got a chance to spend an evening together enjoying what we love most – our kids! We are grateful to the Poly school community, and owe a big round of applause to the countless people that helped put the evening together. Mrs. Langeliers deserves a standing ovation for organizing the star-studded showcase that went off without a hitch. Your dedication to the children, passion for music and tireless energy are inspiring. Poly Drive is lucky to have you. Thank you! Parents, families, teachers and friends – thank you for coming! Your laughter, support, cheers and claps mean the world! Also, thank you for sharing your cookies, brownies, fruit and treats. The dessert reception was a success thanks to all of you! To the staff, teachers, PTA and board – thank you for your enthusiasm and involvement so we may continue the Talent Show tradition that Poly community has come to treasure over the years. We appreciate all you do, every day. Mrs. Engler, Mrs. Reas, Mrs. Whittmeyer and Mrs. Walker for taking on the tough task of auditions. High fives to Reas, Ms. Bauer, Ms. Hanley and Mrs. Monson for mad choreography skills on stage. Huge thanks to all the teachers for participating in the awesome Poly Teachers video, especially to Mrs. Langeliers, Mrs. Caskey, Mrs. Colby, Mrs. Monson, Mrs. Reas, Mrs. Egan and Mrs. Whittmeyer for pulling it all together. And to Mr. Croff for being “the dude,” and the best principal in the district. Thanks for all you do! Many hands make light work. A big round of applause goes out to all the volunteers who helped make this night possible. Thanks to the stage managers and crew for running a tight ship and putting on a flawless show. Mrs. Bell, Lindsey K, Mrs. Edwards, Dana L, Mike O, Angela D, Camden C and Hayden K – great work! Thank you. The sixth graders showed great leadership as our greeters and ushers. Thank you Jenacey and Destiny, Sean, Olivia, Gavin, Lane, Scotlyn and Kaden. You’re going places! Fifth graders Laine and Molly raised money for a class trip with flower sales. Great idea and a great cause, thank you! To Jenny W for having all the tricks up her sleeve, Renee W for being a rock, Dana L for the awesome signs, Kiely L for meticulous decorations installation, Amber E for reception support, all the kids who taped stars to the floor – Phoebe and Maggie, Campbell, Abby, Quinn and Ava, and Iris and Ella. Thanks to Sarah B and Diane G for help with the Talent Showcase, to Ms. Vicki for always being available, to Kelly and Brian E for designing and installing the super cute photo booth, to Mrs. Langeliers for mustaches and feather boas, to the late night volunteers for cleaning up feathers, and to event chair Ursula R for rallying the troops and keeping them hydrated. Deva G guided our young artists through the Reflections Art Program. Special thanks to Deva, Letha M and Tom G for brilliant installation, and to judges Kelly E, Mrs. Bergeron and Mr. Cellan for their expert eyes. Congratulations to all the artists for their hard work and commitment! All pieces will be on display at Toucan Gallery April 8-14. Mrs. Walker organized the first ever Poly Drive Juried Art Show. Thanks to everyone who encouraged our students to enter! Special thanks also goes to our Talent Showcase participants for rounding out a spectacular display of art and talent. Thank you to Mike C, juror, and to Deva G, Kayleith P and Letha M for collection, installation and clean up. Read more about the Reflections and Juried Art Shows, including a list of award recipients. To our sponsors: St. Vincent Healthcare for sponsoring printing and beverage coolers, Robin R for lamination, Poly Drive Elementary for paper, and Lucky’s Market for cookies. We appreciate you! And, finally, THANK YOU to all the performers and participants. We are amazed by your confidence, courage and talent! It not only gave us goose bumps to watch you perform, but it was heartwarming to see so many friends attend in support, even if they weren’t performing. You are all stars! We can’t wait to see what next year brings. DVDs will be available for sale at March Madness, Friday, March 31 and at the Front Office afterward for $15 each. Proceeds offset event expenses, allowing us to have more fun social events for Poly families. PTA reflections due Jan. 8, 2014. Entries for the PTA Reflections are due Jan. 8, 2014. Entry forms have been sent home with students. 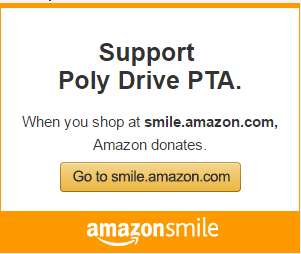 Visit the national PTA website for more information.